Tyler Berger just capped off one of the most successful wrestling careers in University of Nebraska history. The 2014 graduate of Crook County High School finished his career with a second-place finish at this year's NCAA Division I Wrestling Championships. Berger finished his career at Nebraska ninth in school history in total victories with a 116-32 record and was an All-American three times. "I had a successful career here as a Husker," Berger said. "I have put my name up in a pretty high category. I'm in elite company with the credentials and everything that I have now. But ultimately at the end of the day, it's just what they are going to put next to my name, and it doesn't really define who I am." Berger, who competed at 157 pounds all four of his years, has improved each year. His freshman year, he went 24-13, qualifying for the national tournament, but failing to place. Then, in the 2016-2017 school year, Berger improved to 36-6, placing fifth at the NCAA championships. Berger unexpectedly reached the tournament semifinals before being defeated by conference rival Jason Nolf of Penn State, who went on to win the national championship. His junior year, Berger finished with a 28-9 record, improving to third place in the NCAA tournament. His lone loss in the NCAA tournament was to Hayden Hidlay of North Carolina State, who finished second to Nolf. 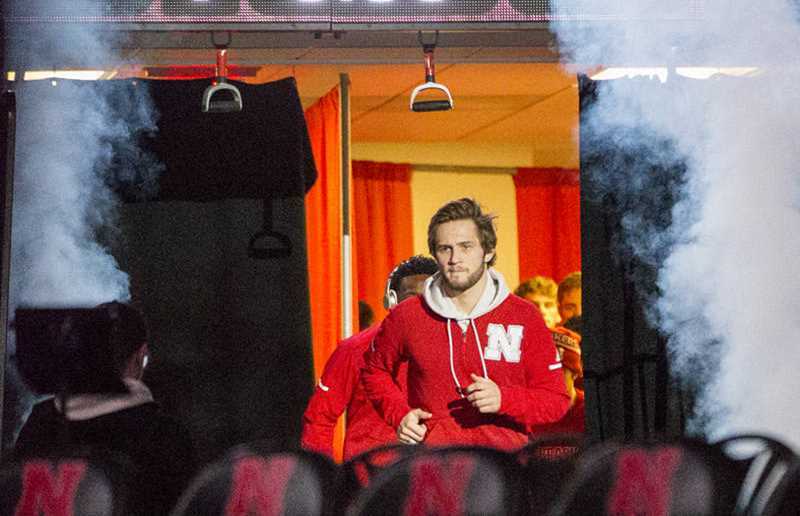 With Nolf returning for his senior year after winning the previous two championships, Berger admits that he considered moving down to 149 pounds for his senior year. "I think it was important for me not just as a wrestler, but as a man, to go after the challenge," Berger said. "I was even considering going down a weight class, knowing that it was going to take a little bit of extra work, but after talking to my parents, after talking to my coaches, we ultimately decided, 'Heh, the only reason that I would be going down a weight class would be to get away from Jason Nolf,' and that's just not who I want to be remembered as. I don't want to live my life in that kind of way. It was frustrating that I couldn't beat him, but I actually learned a lot about myself through the process of chasing him down. He was the giant in the weight class, and I wasn't scared to run right at him." Berger lost to Nolf twice in the regular season, then suffered a 10-2 loss to the Penn State star in the NCAA Finals. Berger lost just one other match all year, finishing the season with a 28-4 record. Although he would like to have defeated Nolf, Berger said that he learned a lot about himself by accepting the challenge. "Now that I've had about a week or so to reflect back on it, it was a joy, this last season," he said. "In spite of not getting the one thing that I was chasing, I have taken the time to really be thankful for the team that I had, the coaches that I had, the time that I had left to be a Husker wrestlers, and ultimately I think that it was just an overwhelming amount of peace and joy. I'm really thankful for the people that I have surrounded myself with." Berger added that even though wins and loses don't define him, he has always pursued excellence. "I was talking to my coaches, and there is always going to be something that I want more," he said. "If I could just be a four-time All-American, or if I could just be a national champ, or a two-time national champ, or three or four time. If I could just win a world title. You know all of those things, you just continue to strive after the next thing and the next, and the next." Although his collegiate wrestling career is completed, Berger is quick to add that doesn't mean that his athletic career is over. He is planning on taking some time off, then resuming wrestling in 2020 in pursuit of a berth on the U.S. Olympic team. "I'm going to rest my body, and I will be coming back for the 2020 Olympic trials and just taking one year at a time. I think that it's going to come down to picking the best training center that I can be a part of, whether that is here at Nebraska or somewhere else, and just surrounding myself with people who are going to push me to the next level. I'm going to have to break down some more doors; break down some barriers if I want to be successful at that next level, so I am going to need people to surround me that are going to push me, that are not afraid to break me." Berger added that he is going to have to get bigger and stronger as there are just six weight classes for Olympic wrestling, forcing him to move up to 74 kilograms, or approximately 163 pounds. Berger knows that making it to the Olympics will be a tough task. In addition to Nolf, other competitors with international experience such as James Green, Jordan Burroughs and Jordan Oliver, are expected to compete in the same weight class. "It's going to take a lot of work, but I'm looking forward to it," Berger said. In addition to pursuing an Olympic career, Berger is also planning on giving back to the wrestling community, putting on camps and clinics in Oregon. "I got on the mat when I was a little kid, three or four years old," he said. "I can't even remember a time when I wasn't on the mat. Since that time, there have been an overwhelming amount of people who have helped me in my career. People who have sacrificed time and energy. There were people back in Bend where I first started, and people in Hermiston where I was at for six years, and then ultimately my last year in high school was at Crook County, and just how that group of people invited me in. How they helped me train and how they pushed me and ultimately sent me off to college. There really aren't words to express how thankful I am to them, and I don't forget my roots, so I'm excited to get back to Oregon and help the next generation."